Google is about to update their algorithm again which will affect how they analyze your website. Having a mobile-friendly website is vital to your success online. Mobile-friendly websites will soon rank higher on Google’s search engine results pages (SERP). If your site is not mobile-friendly it’s likely to become less relevant and disappear from prominent search results. Studies show that time spent daily on a mobile device has increased more than 5X from 2011 to 2014. Searching, browsing and shopping are all going mobile. 40 percent of all search queries are from mobile devices. And that number is growing. If your website isn’t optimized for mobile users, you’re probably losing business. In fact, with a mobile optimized site, you can expect to convert up to twice as many people as you would without optimizing for mobile customers. If your website looks good and works well on smartphones and tablets, you can expect up to twice as many conversions compared to a less-than-optimal display. That’s because customers who search for you on their mobile device expect a webpage specifically designed for smaller screens, like smartphones and tablets. Otherwise, it’s just too hard to use your website and customers give up. The result: no conversion. 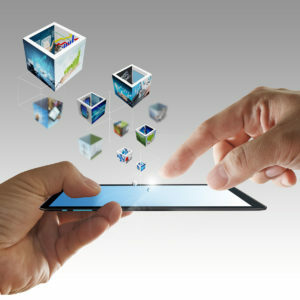 It’s crucial to your business that your website is easy to read, navigate and click on all devices, especially mobile. Enter your website into Google’s Mobile Friendly Test and you will find out if your site is okay.